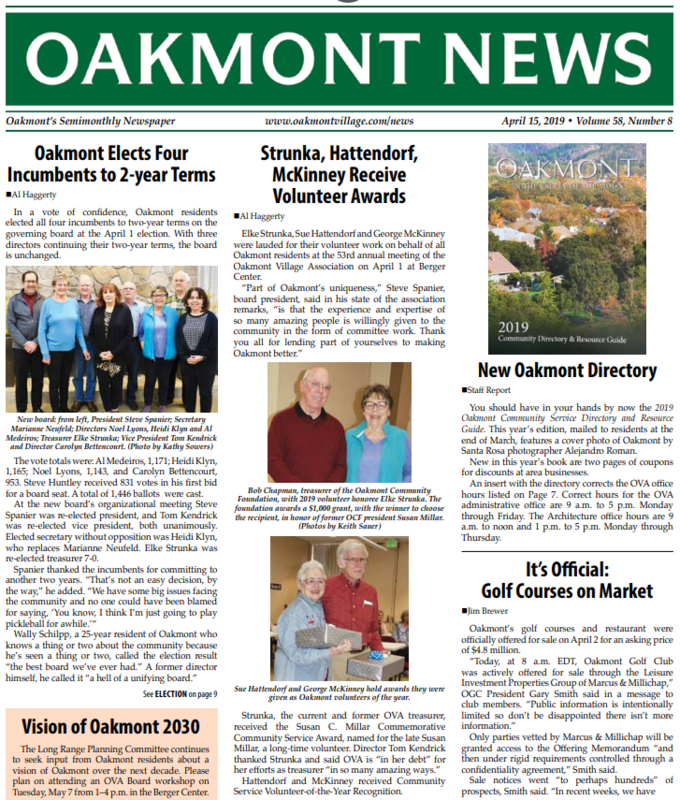 Leaders of Oakmont’s 37 sub homeowner associations are seeking OVA’s help with finding, training and supporting local board members who oversee their neighborhood operations. “This is a problem that needs to be addressed,” OVA President Steve Spanier told a Berger Center forum held by the OVA Board on Feb. 5. Director Marianne Neufeld agreed. “It’s time for the board to get involved,” she said during the first of several presentations by directors of a sampling of sub HOAs. They described difficulty in getting people with the interest, time and stamina to serve on boards, training of board members in the budgeting and legal issues HOAs face. The sub HOAs usually are responsible for maintaining common area outside of homes, including lawns, trees, shrubs, and water and irrigation lines. They may also provide basic fire insurance and do exterior painting and other maintenance. Owners pay dues in addition to the $75 monthly per person dues to Oakmont. Those per household dues typically range from under $200 to over $300 a month and pay for yard and other outside maintenance and usually for water and insurance. Speakers said some are healthy financially, a few not. An unnamed sub HOA was described as having reserves at only 20 percent of the recommended level. All homes in Oakmont must adhere to OVA CC&Rs. Homes in the sub HOAs must also follow their CC&Rs. ‘BOOT CAMP’ FOR HOA DIRECTORS? The sub HOAs cover 1,397 homes, about 43 percent of the 3,208 homes in Oakmont. 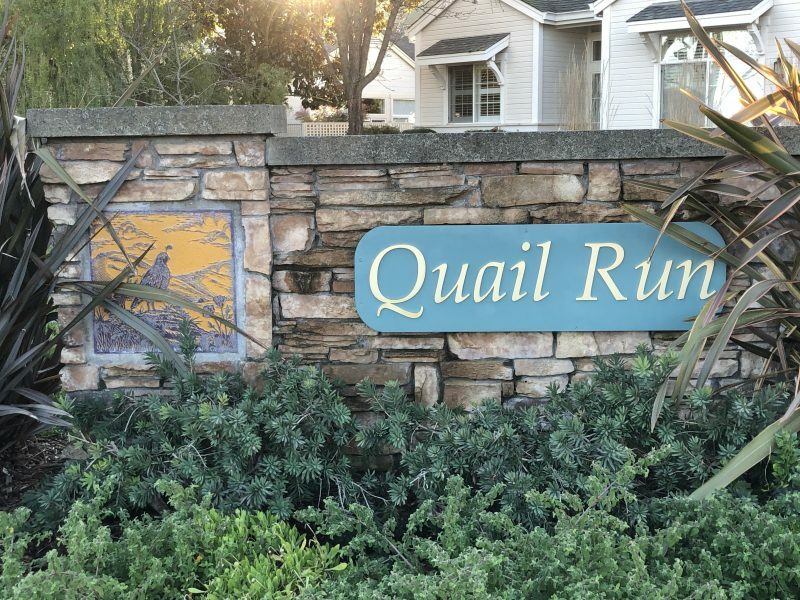 Almost a third of the California population live in HOAs, Dwight Myllenbeck, chair of Rockgreen and co-chair of the League of Oakmont Maintained Area Associations (LOMAA) told the forum. He suggested a “boot camp” that could go beyond LOMAA’s work in training new directors. All sub HOAs belong to LOMAA, which helps share information and guidance. Bob Spaulding, chair of Twin Lakes, at 92 homes the largest sub HOA, said getting people to serve on a board is “our biggest problem” despite its size. In Twin Lakes, 27 homes are rentals; only owners can serve on boards. Twenty-four are older owners no longer up to the job, and 11 absent owners use their homes mainly as vacation retreats. Some sub HOAs are adopting caps on rental units. They require member approval and are not binding on current owners. The goal is to increase owner occupancy, and the pool of possible directors. The sub HOAs typically hire a management company, either for budgeting and office support, or in some cases full management. They must maintain reserve funds for major jobs, like paving the many private streets in Oakmont and house painting. Myllenbeck noted that the “older HOAs have infrastructure that is aging out,” causing a need for costly repairs that impact reserves. Mary England of Oak Forest said her HOA was planning a member vote on raising dues and on a special assessment. She and others described “an urgent need for emergency evacuation procedures” for the sub HOAs and all of Oakmont. Several speakers cited the strength of sub HOAs as important to planning for future emergencies. Several speakers envisioned a new role for the OVA, noting that its board is supported by a general manager and staff. The sub HOAs have LOMAA, itself run by sub HOA directors already burdened by their jobs. The forum wasn’t only about complaints. One speaker observed the sub HOAs are “all a little different” in size, terrain and locations ranging from hillside perches to golf course frontage. “There’s a beautiful thing about neighborhoods,” where people bond and get to know their neighbors,” Spaulding said. They can work and work very effectively if they’re not overburdened.